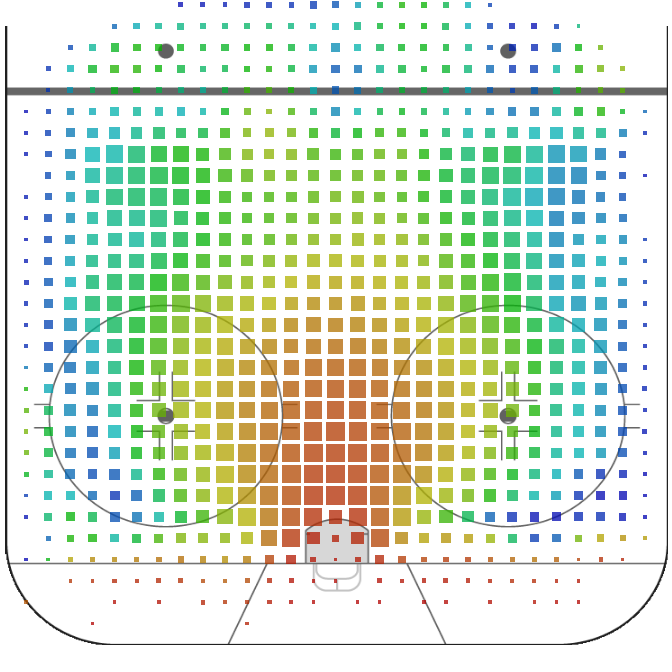 @StatsbyLopez posted a photo on Twitter from a recent presentation where I showed an NHL heat map. So I thought I'd give a quick explanation of said heat map. The size of each rectangle represents the number of shots taken at that location (bigger rectangle = more shots). 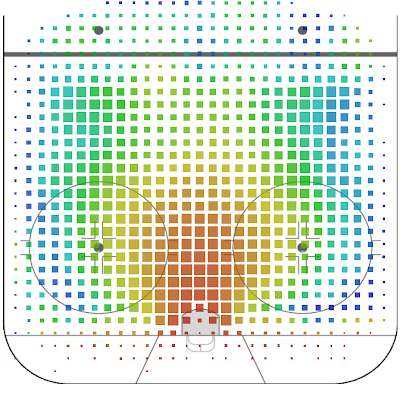 The color represents the percentage of shots that were goals (red = high percentage, blue = low percentage).